On Monday, 3 December 2018, Komnas HAM convened with researchers from the Indonesian Centre for Law and Policy Studies (PSHK) to the analytical framework linking SDGs and the rights of a person with disabilities for effective monitoring and advocacy in Indonesia. The meeting was attended by Sandra Moniaga, Beka Hapsara, Mimin Dwi Hartono of Komnas HAM, and Yossa, and Fajri of the PSHK. The desk research is supported by UNESCO in which cooperated with Komnas HAM to develop monitoring and analytical tools on SDGs which in available online in Komnas HAM's website. In response to the presentation, Beka explained that “the situation in Indonesia is still in early stages of development. 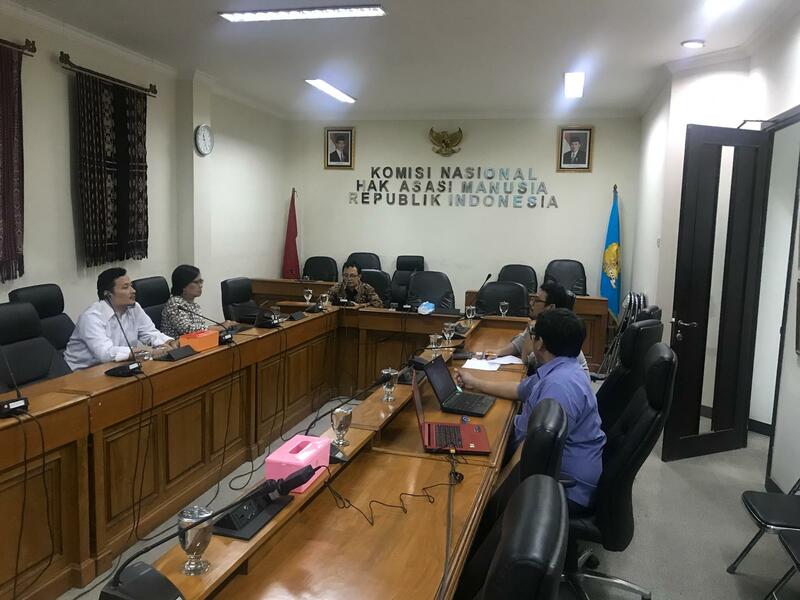 Komnas HAM has made efforts to speak to various government institutions such as the Coordinating Ministry for Political, Legal, and Security Affairs but disability rights are still in early development in terms of public awareness”. Additionally, Beka and Sandra both suggested that Indonesia must reach a consensus with regards to the key indicators which would allow analysts to measure effective governance.